One Less Nemesis Blog: Prison Break Pack! Who's trying to break IN to the prison on the Walking Dead? Zombies and the Gov, that's who. We've paired them up with our awesome Prison Break Pack. 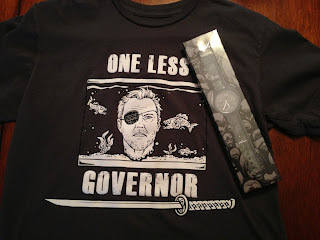 You get our One Less Governor tee plus a limited edition Vannen Walking Dead Horde 2 watch, both for only $59.99 plus shipping. 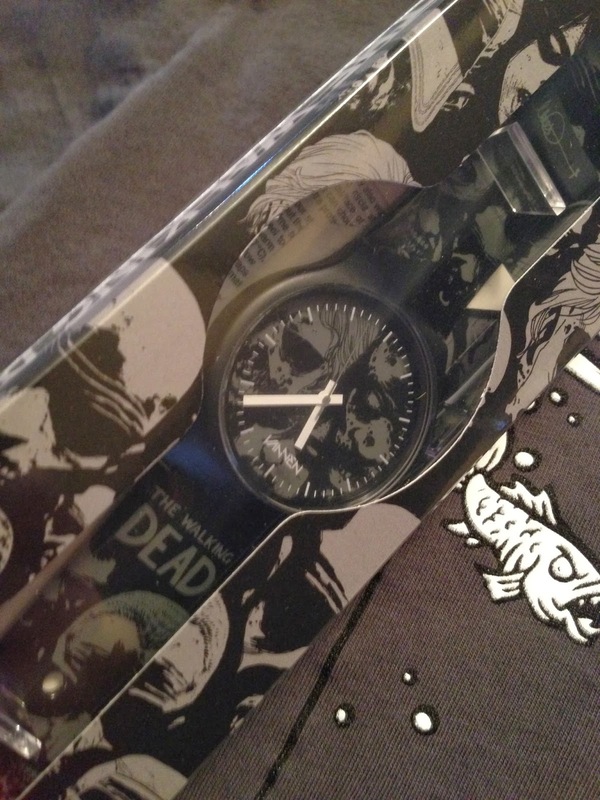 The first edition (HORDE) of these artist watches was at San Diego Comicon and they sold out immediately. Now Vannen has released Horde 2, with a retail price of $60. 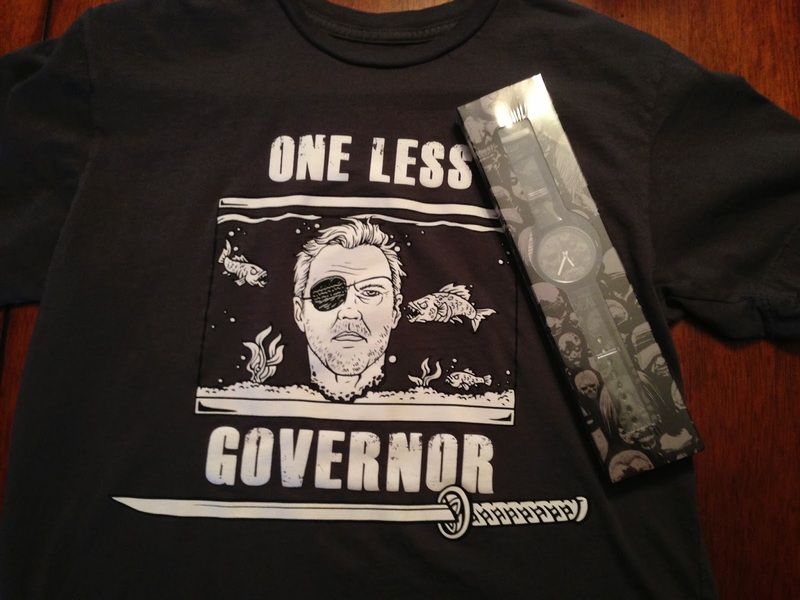 But through our special promotion, you get both our Governor tee and the watch! We only have 10 watches in stock, so when we run out, that's it. Wrist Size: Medium-Large. 8.50 Inches Max. Crystal: Plastic. Flat w/ pad-printed White Index Markings. Dial: 34.8mm, Matte, Black and Grey. 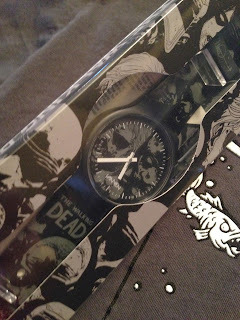 Loop: Plastic, Matte Black w/ Charlie Adlard Logo. 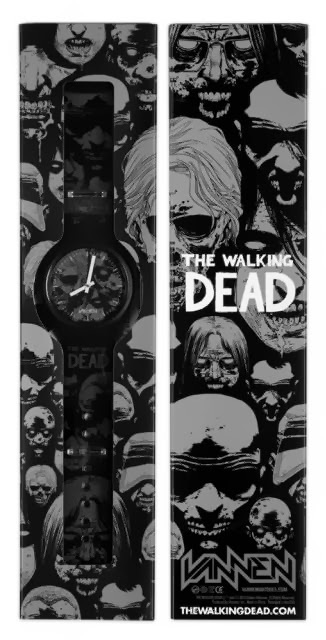 Straps: 22mm Wide, Plastic, Glossy, Screen Printed Black & White. 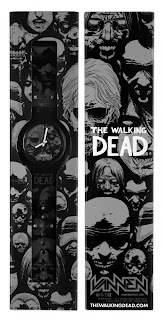 At the 2013 San Diego Comic Con, Vannen Watches joined forces with Skybound Entertainment to release "HORDE", a limited edition Walking Dead wristwatch featuring glow-in-the dark detail and artwork by Charlie Adlard. "HORDE" was a huge success at SDCC, but was never available in stores. The Walking Dead fans demanded more, so Vannen and Skybound teamed up again to release, "HORDE 2". 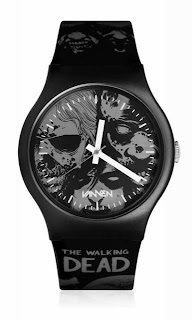 This new watch features the same sinister artwork as the original "HORDE" watch minus the glow-in-the-dark detail and hand-numbered packaging. Created specially to meet demand of the fans, "HORDE 2" is available NOW as open edition at a lower, fan-friendly price.